SCA Highlights, Publications, Funding Opportunities, and more. April is Second Chance Month. As we approach this special commemoration of reentry efforts across the country, we want to know if you have any plans to recognize work in your jurisdiction. Interested in promoting your work, but not sure how to get started? We have some ideas about what you can do to join the celebration and get the word out about your efforts. In February, Wyoming Gov. Mark Gordon signed a package of Justice Reinvestment legislation into law. 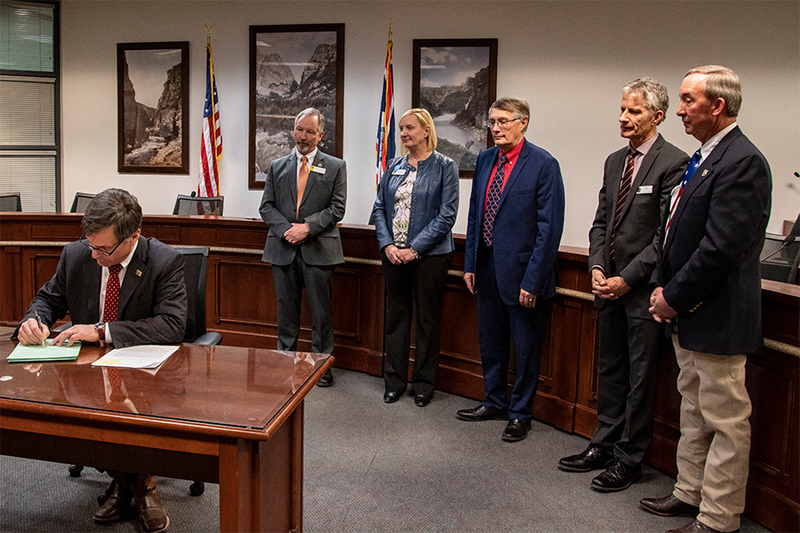 These bills aim to reduce recidivism 25 percent by fiscal year 2024 and avert up to $18.1 million in costs that can be reinvested in increasing the availability and effectiveness of community-based behavioral health treatment for people on probation and parole. Do Renters' past Crimes Matter? Study Says Often Not. This project was supported by Grant No. 2016-MU-BX-K011 awarded by the Bureau of Justice Assistance. The Bureau of Justice Assistance is a component of the Department of Justice's Office of Justice Programs, which also includes the Bureau of Justice Statistics, the National Institute of Justice, the Office of Juvenile Justice and Delinquency Prevention, the Office for Victims of Crime, and the SMART Office. Points of view or opinions in this document are those of the author and do not necessarily represent the official position or policies of the U.S. Department of Justice. Copyright © 2019 The Council of State Governments Justice Center, All rights reserved.